A better performance is forecast for silver, however, with the metal tipped to pull back more lost ground against gold. 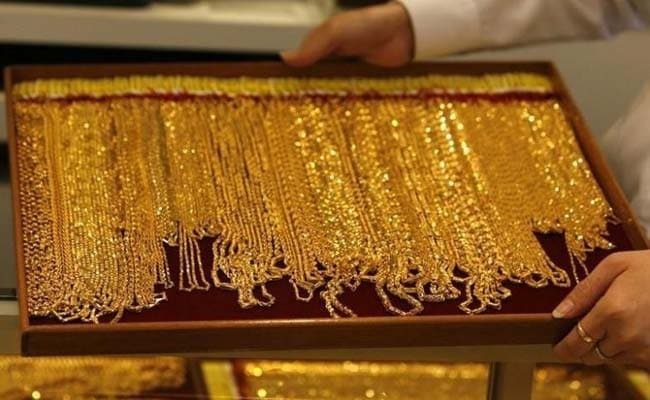 London: Banks and brokerages expect a largely flat gold market over the rest of 2018 after a stubbornly uneventful few months, a Reuters poll showed on Thursday, returning a forecast for the full year just a couple of dollars from its average price. The average gold price prediction returned by the poll of 34 analysts and traders conducted this month stood at $1,334 an ounce, versus the metal's current 2018 average of $1,332. The respondents' forecast for next year, of $1,352 an ounce, represents an uplift of only 1 percent from this year's levels. "We expect gold to maintain a sideways to higher stance," Harish Galipelli, head of commodities and currencies at Inditrade Derivatives & Commodities in Mumbai, said. "The recent geopolitical developments might support a faster appreciation in gold, but otherwise the pace (may) be more moderate." The full-year price forecast of the Reuters January 2017 gold poll, of $1,250 an ounce, was less than 1 percent from last year's actual average of $1,258 an ounce. Gold has held between $1,300 and $1,366 an ounce since mid-January, with conflicting factors hemming it in a narrow range. Concerns linked to the China-U.S. trade standoff, sanctions on Russia, and unrest in the Middle East have pushed prices higher, but rising stock markets, dollar strength and the prospect of higher U.S. interest rates kept a lid on gains. Rising rates tend to weigh on gold as they increase the opportunity cost of holding non-yielding assets. Poll respondents trimmed their average silver forecast for 2018 to $17.28 an ounce, from $17.43 in a similar survey conducted in January, but the prediction remains well above the metal's year-to-date average of $16.72. Next year silver is expected to average $18.00 an ounce, up nearly 5 percent from 2018's level. The forecasts suggest the gold/silver ratio, or the number of silver ounces needed to buy an ounce of gold, will pull back to an average 77.2 this year from 79.9 currently. Analysts have been expecting the ratio to ease after it hit a two-year high above 81 in early April. "Each time the gold/silver ratio has risen above 75, a mean reversion has been driven by silver prices rising rather than gold prices falling," Standard Chartered analyst Suki Cooper said. "However, silver lacks retail investment demand support. Silver tends to outperform when both industrial and investment demand are growing. We expect silver prices to catch up as the year unfolds given robust industrial demand, slowing mine supply and a weaker dollar."